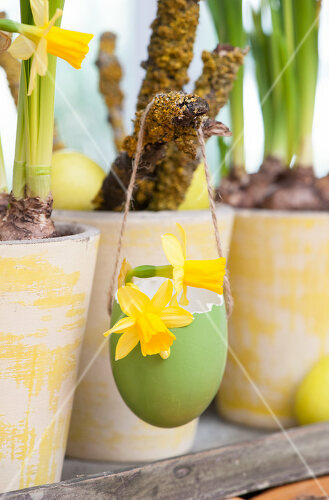 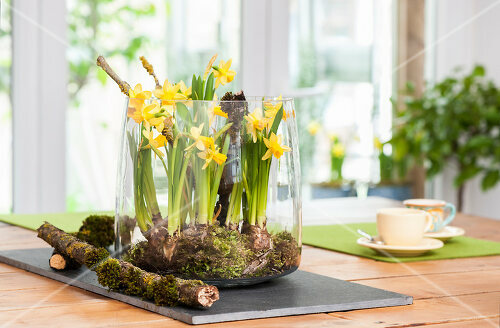 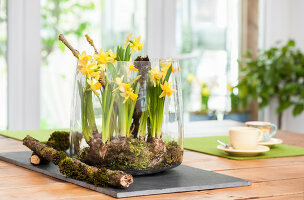 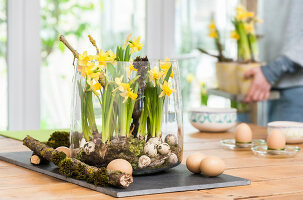 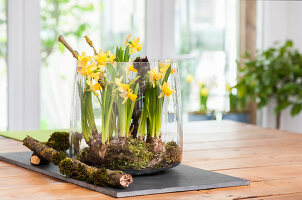 Miniature narcissus plants are the perfect harbinger of spring. Here, the delicate yellow flowers of the "tete à tete" variety are indispensable when it comes to setting the Easter table and creating a holiday feeling. 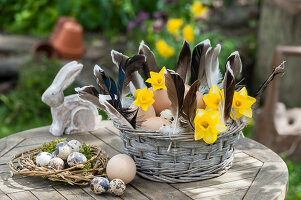 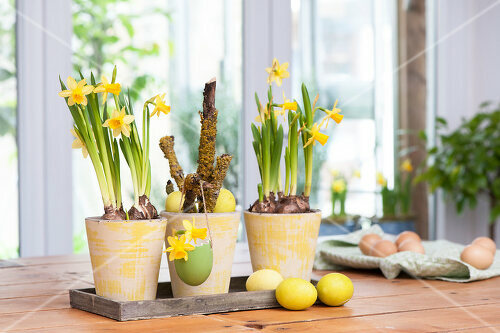 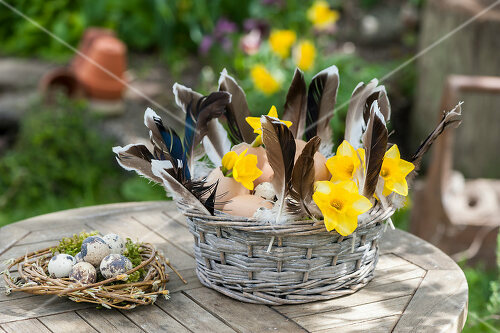 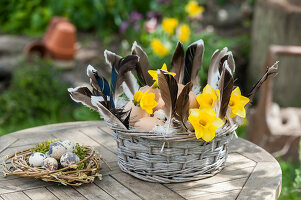 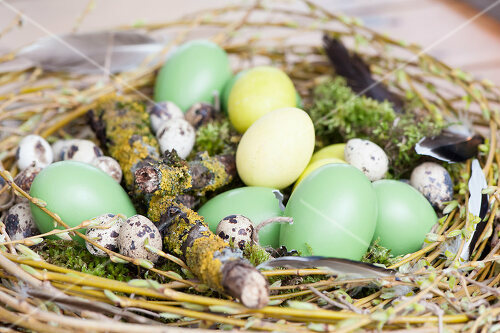 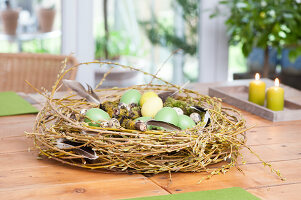 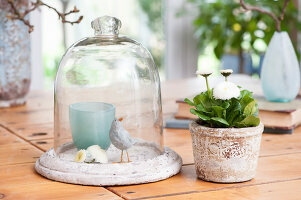 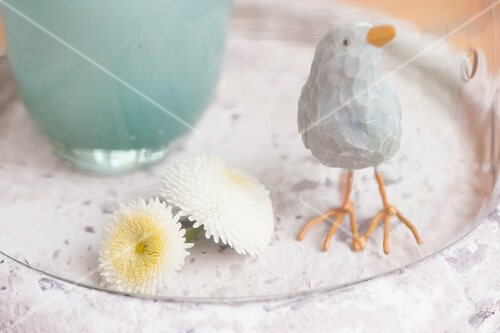 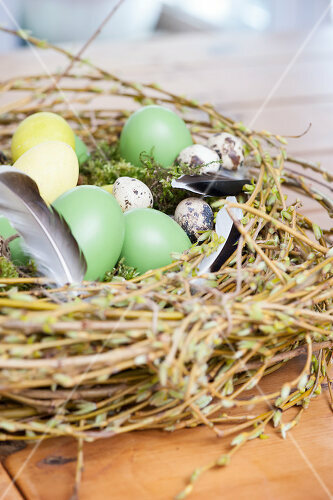 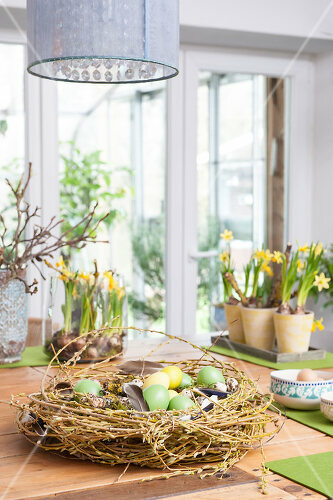 Combine them with coloured eggs and feathers and indulge in your nesting instinct.